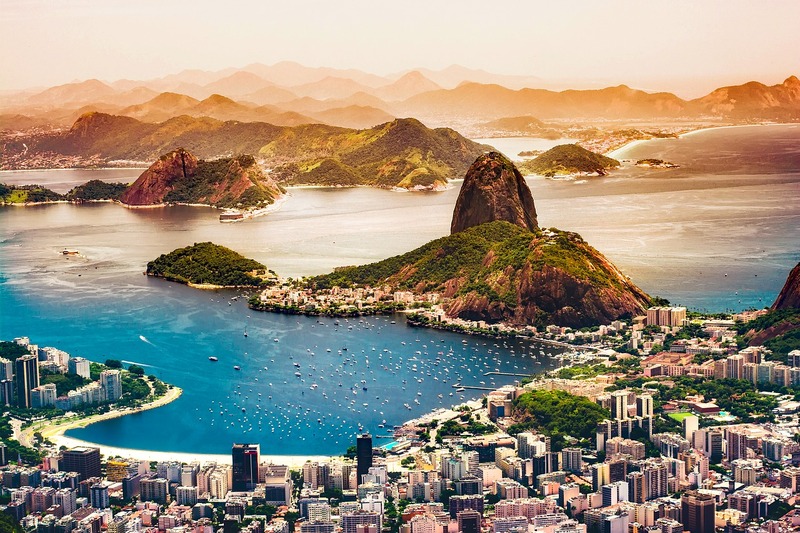 Rio de Janeiro, Brazil, is one of the most well-known cities in the world, not only for its natural beauty, but for so many cool attractions to see and places to visit. If you are planning to spend sometime in the city, you will need to organize your time because there are a lot of things to do in Rio. 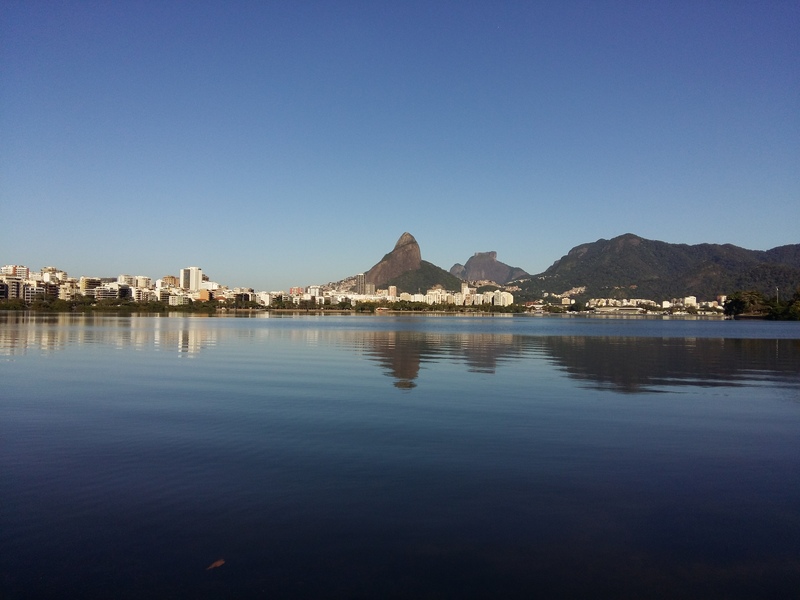 Pão de Açúcar (Sugar Loaf) is a peak situated in Rio de Janeiro, Brazil, at the mouth of Guanabara Bay on a peninsula that juts out into the Atlantic Ocean. Rising 396 m (1,299 ft) above the harbor, its name is said to refer to its resemblance to the traditional shape of concentrated refined loaf sugar. It is known worldwide for its cableway and panoramic views of the city. Climbing the hill of Pão de Açúcar is one of the things that everyone has to do at least once in a lifetime. 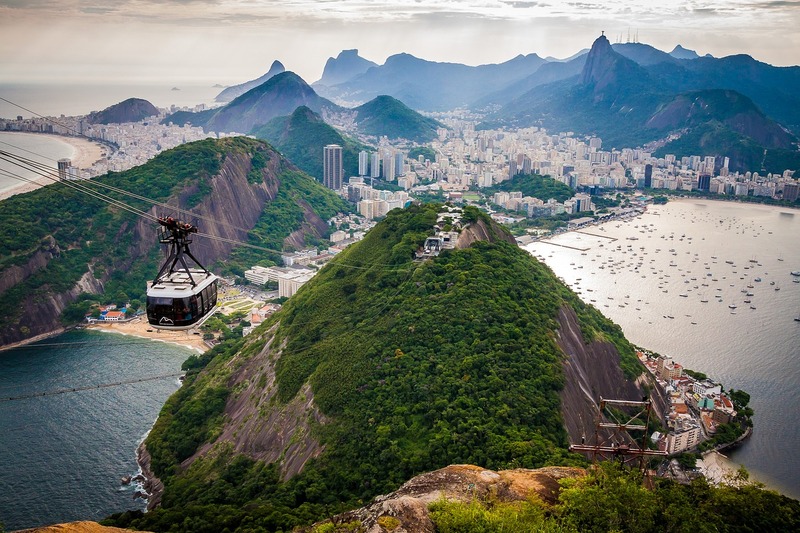 We recommend you to take the cable car ride, we promise you won’t forget it! 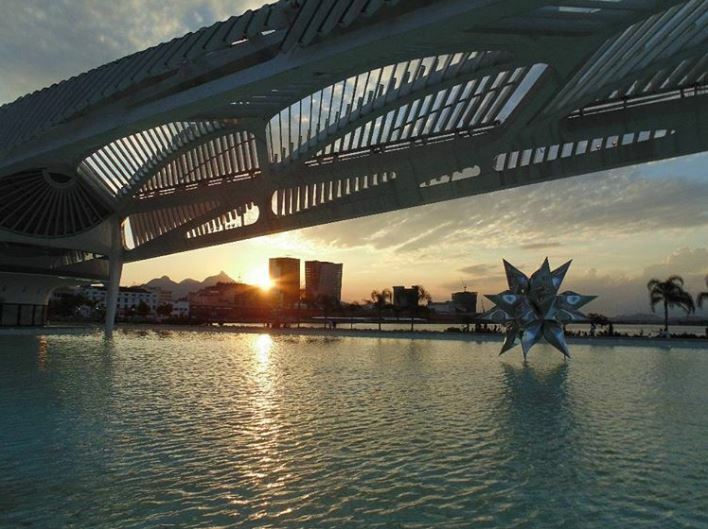 Designed by Spanish architect Santiago Calatrava and built next to the waterfront at Pier Maua. The main exhibition takes visitors through five main areas: Cosmos, Earth, Anthropocene, Tomorrow and Now. The museum mixes science with an innovative design to focus on sustainable cities. It’s definitely a must see! The Botanical Garden was created by Dom João VI, its cultivated area currently holds around 9 thousand botanical specimens belonging to around 1,500 species. It’s also a perfect place to plan a picnic and enjoy fresh air and natural beauty (and of course, take a couple of pictures). And you can also discover their bistro and bakery La Bicyclette. 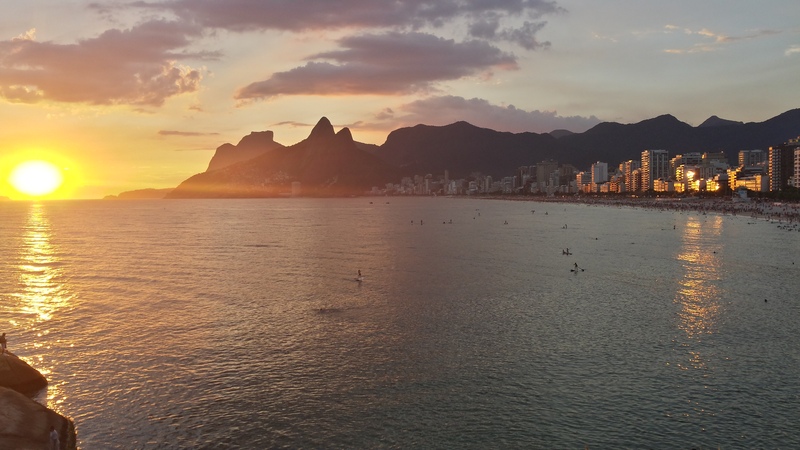 One of Rio’s most romantic spots to watch the sunset is Arpoador Beach. You’ll be able to see the golden sands of Arpoador, Ipanema and Leblon beaches as well as Morro Dois Irmãos (Two Brothers Hill), Corcovado Mountain and Pedra da Gávea (Gávea Rock). Sometimes during the midsummer months, you’ll be able to see the sun setting into the sea. Isn’t this romantic? Lapa is the most bohemian neighborhood in Rio de Janeiro. 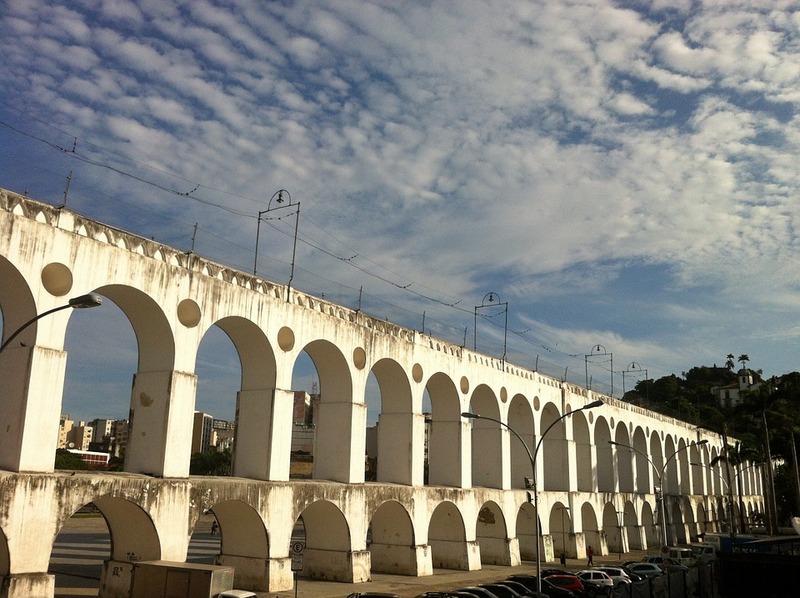 Lapa is famous for its historical monuments and nightlife for all different budgets. Since the early 1950s, Lapa has been known for its lively cultural life where there is a concentration of many restaurants, bars and clubs where the various forms of Brazilian music can be appreciated (including Samba). The Sala Cecília Meireles, an important venue for chamber music, is also located in Lapa. 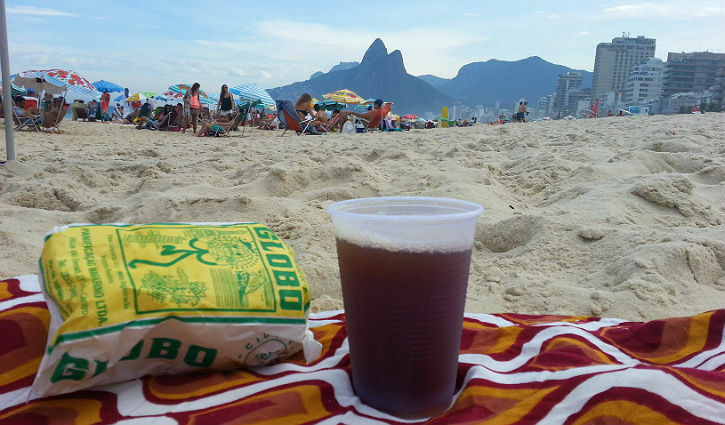 Chá mate (mate tea) and biscoito Globo (Globo biscuit) are two cariocas heritages and both are a must-eat and drink while taking the sun. The only question left is whether you prefer the biscoito Globo sweet or salty and your tea with or without lemon? Symbol of the neighborhood of Santa Teresa, the bonde (tram line) route begins in the downtown area, passing over the Arcos da Lapa, the Church and Convent of Santa Teresa, Largo of Curvelo and the Parque das Ruínas. 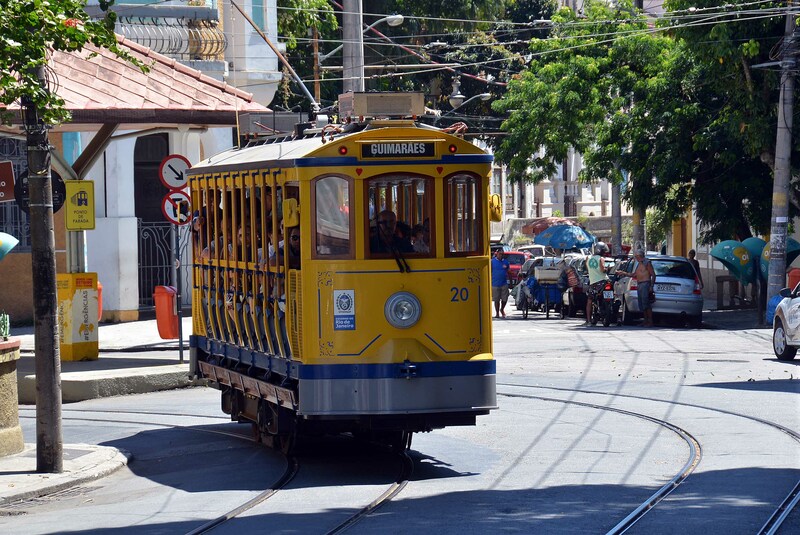 The route starts on Rua Lélio Gama, next to the metro station Carioca and is nowadays considered a heritage tramway system. 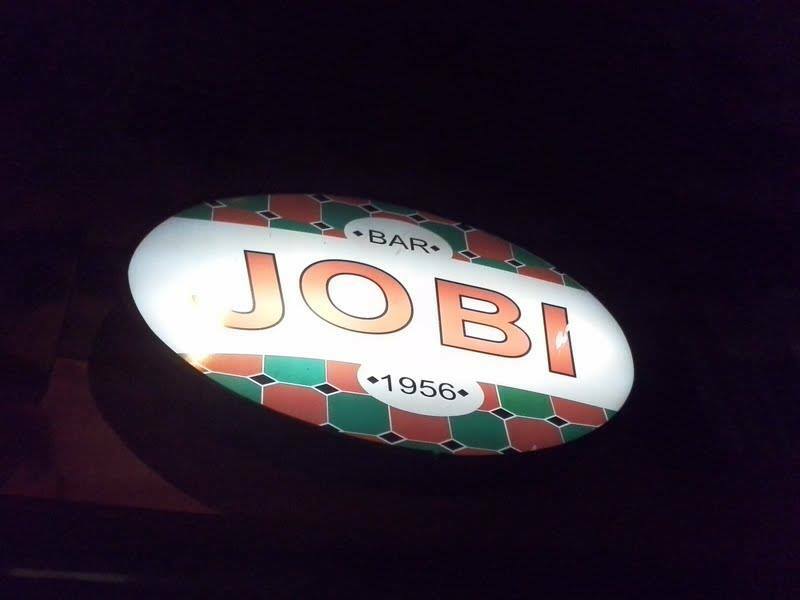 Another place to visit in Rio is Jobi Bar, one of the city’s most famous local pubs that has cold draft beer & appetizers from Portugal & Brazil. Jobi is a Rio institution and has been around since the 1950s. Try their bar snacks, specially the camarão. Let’s party! 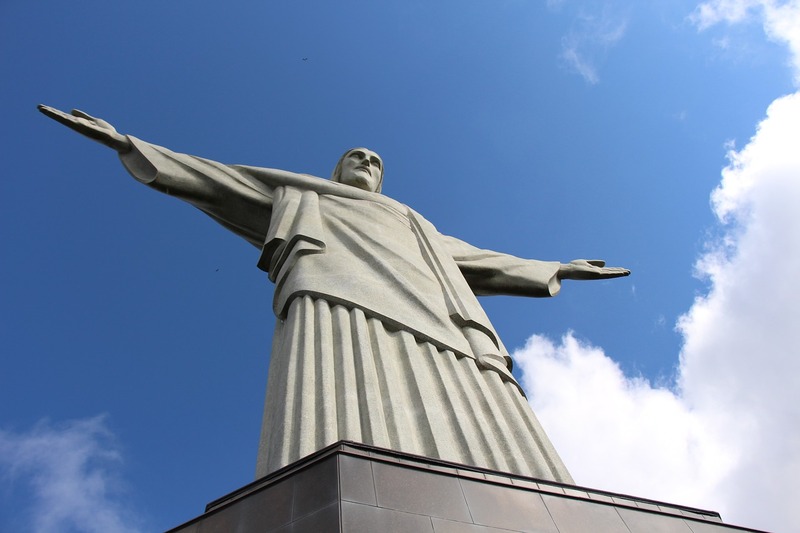 The symbol of Rio de Janeiro, Cristo Redentor (Christ Redeemer) is also a symbol of Christianity across the world, the monument has also become a cultural icon of both Rio de Janeiro and Brazil, and is listed as one of the New Seven Wonders of the World. It is made of reinforced concrete and soapstone and was inaugurated in 1931. 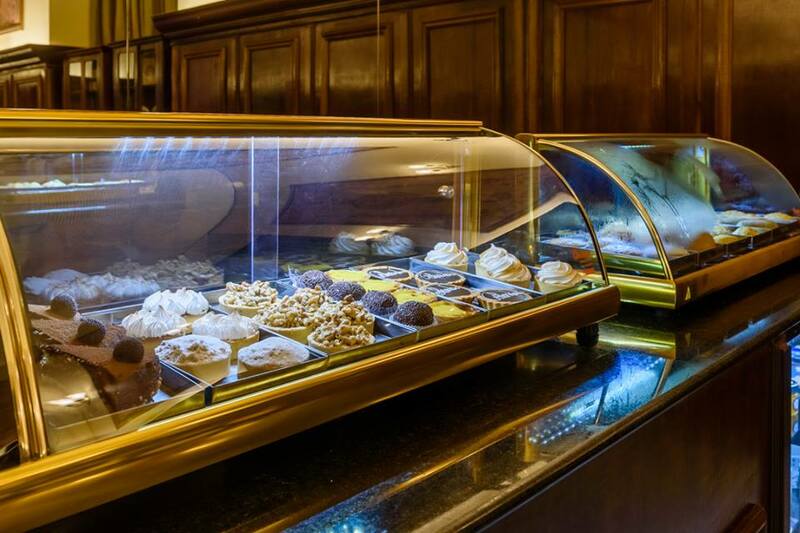 Inaugurated in 1894, Confeitaria Colombo is one of the most traditional places to eat in Brazil and symbol of Rio de Janeiro’s belle époque. The menu is typical brazilian with portuguese influences. 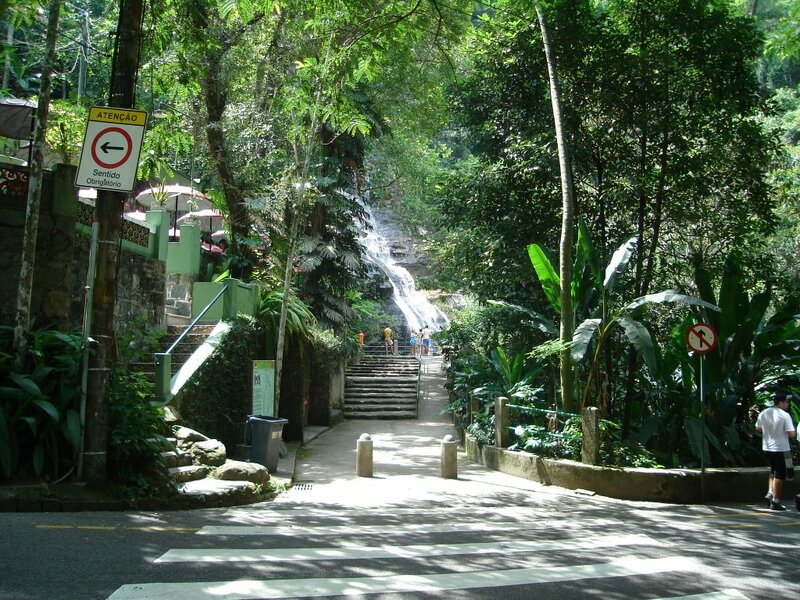 The Tijuca Forest (Floresta da Tijuca) is a tropical rainforest in the city of Rio de Janeiro, Brazil. It is claimed to be the world’s largest urban forest. There are more than 3,300 hectares of forest with waterfalls, trails, animals and birds of different species, butterflies and beetles, and besides all that, cozy trails where visitors can have a conversation, meditate, also enjoy their Brazilian or International cuisine. If you are a nature tourism and ecotourism lover, this is your place to be! The Estadio Jornalista Mario Filho, or the Maracana Stadium, was once the largest in the world. Built in the heart of Río de Janeiro for the 1950 FIFA World Cup ™, the colossal stadium has witnessed some of the most unforgettable moments in Brazilian and world football. If you have a chance, enjoy a match between Flamengo and Fluminense, both Rio de Janeiro’s team. A little more than 7km long, taking the route by foot or by bicycle is quite pleasant. This neighborhood is perfect for relaxation and some family fun. You can grab a snack at the waterside kiosks, go for a walk or ride a bicycle on the pathway around the lagoon or listen to live music by the waterside. 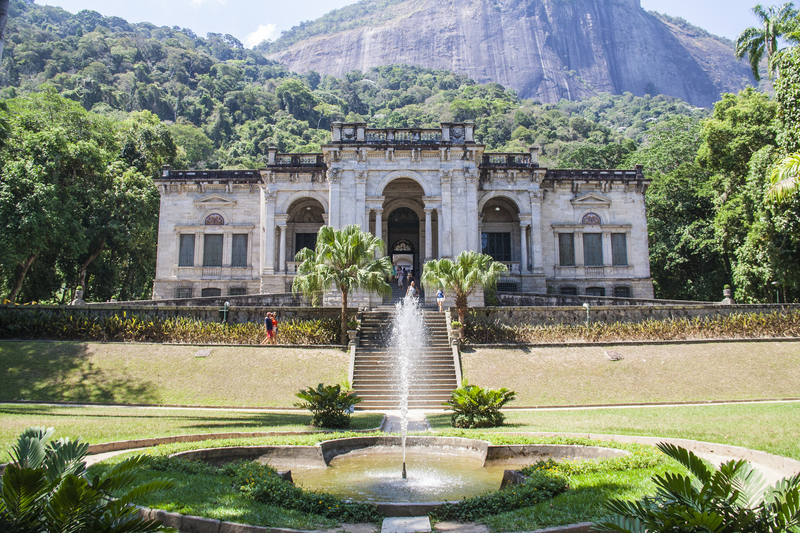 Parque Lage is a hidden gem located at the foot of Corcovado in the Jardim Botanico neighborhood, next to the Cristo Redentor. 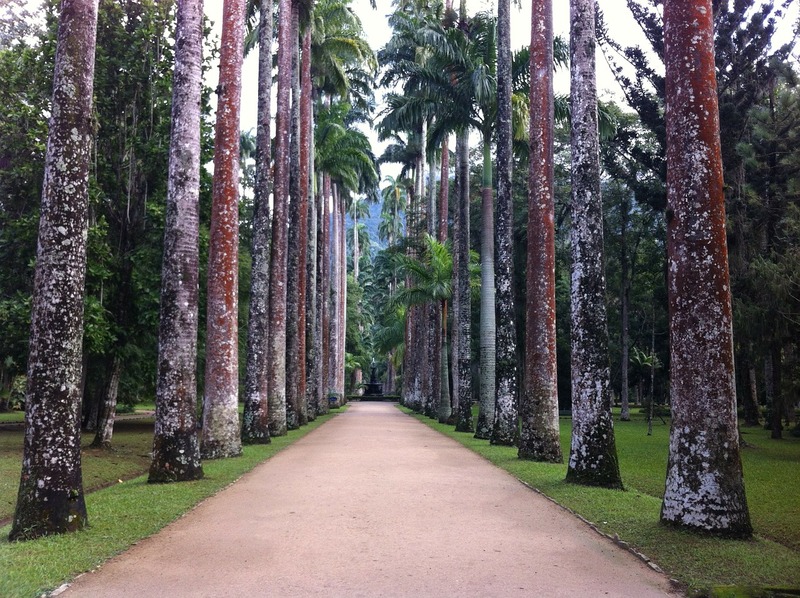 In the 1960s, the land was converted into a public park and walking trails were installed through the subtropical forests of Tijuca National Park that surround the mansion. The mansion now houses an art school, the Escola de Artes Visuals do Parque Lage (Visual Arts School of Parque Lage), which showcases galleries of student art to visitors. Escadaria Selarón was created by the Chilean ceramist Jorge Selarón who claimed it as “my tribute to the Brazilian people”. 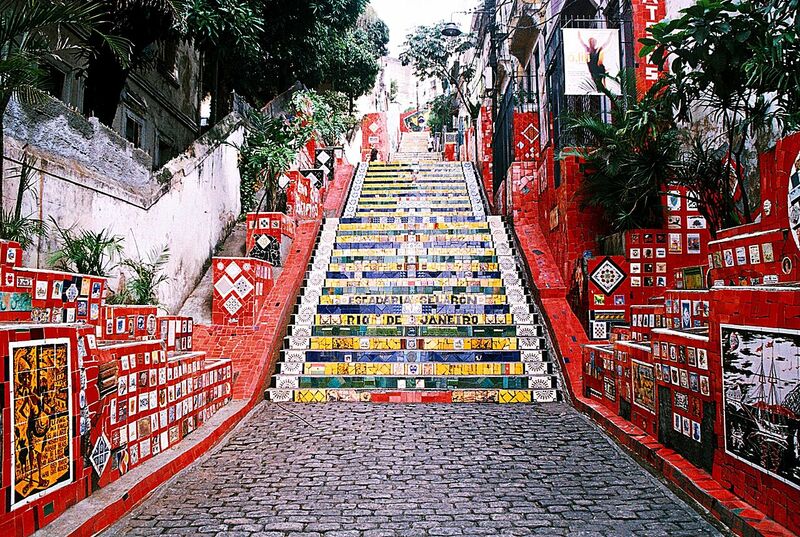 Located in Rio de Janeiro, between the bohemian neighborhoods of Lapa and Santa Teresa, the staircase is covered in more than 2,000 pieces of colorful tiles, mirrors and ceramics.